Creative Director Shiri Kornowski notes that designing for a product that had never existed before was a particular challenge, but also left ample room for creative freedom. 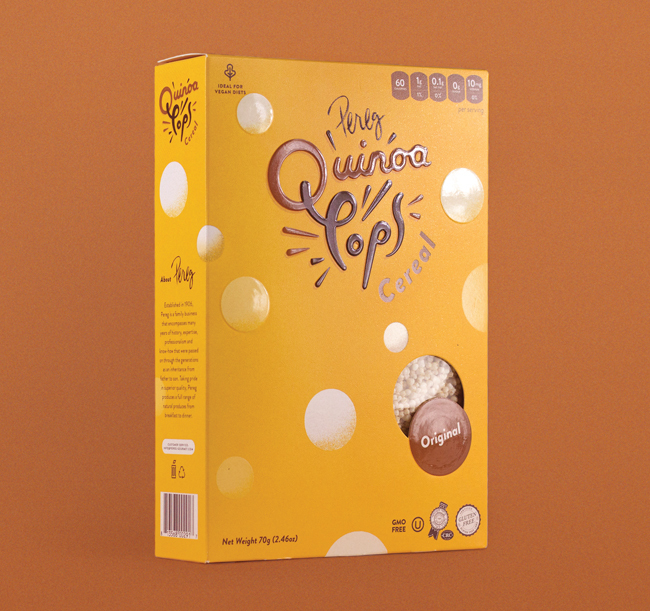 “Our process,” says Kornowski, “started with a strategic approach including the product positioning … We wanted to design the packaging in such a way that would properly convey the various ways the Pops could be used just by looking at it on the shelf – creating this visceral feeling of interaction with the product before even consuming it. 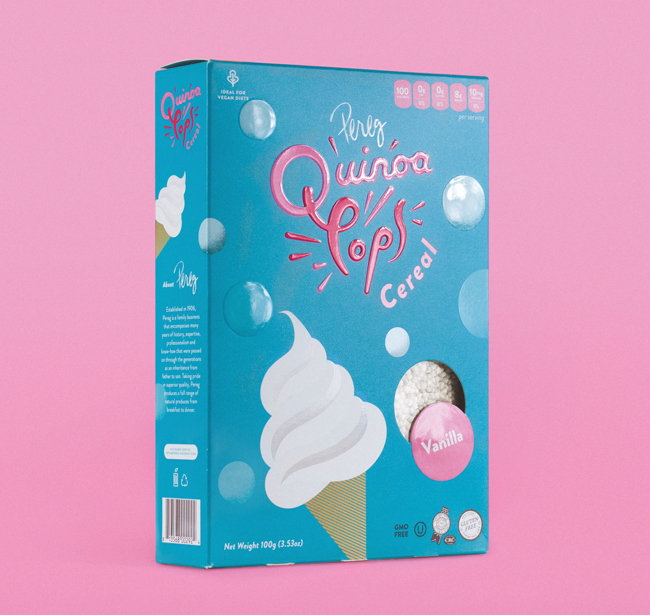 We wanted the package to reflect feeling of joy while eating the cereal; touching upon all five senses especially taste … To match the delicious sweet flavors and playful crunch of the Pops, we worked with plenty of different color chips to find the perfect shade. 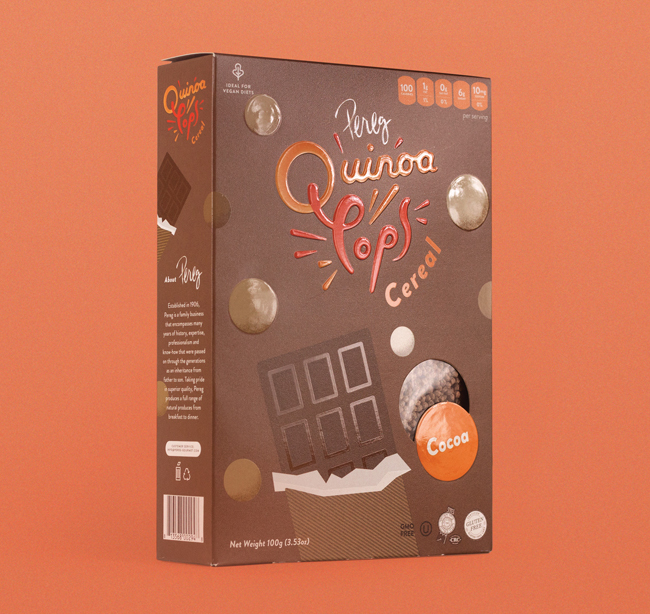 We got our hands on the psychology of color… We created unique patterns that would appropriately express each flavor of Strawberry, Chocolate, Vanilla, and Original. 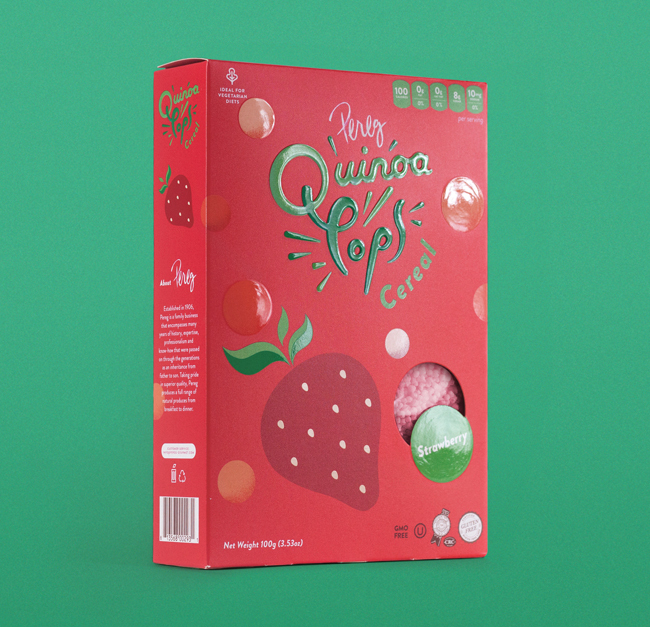 Next comes combining these colors with illustrations such as a real strawberry or a chocolate bar to further enhance the consumer’s understanding of the actual flavor. 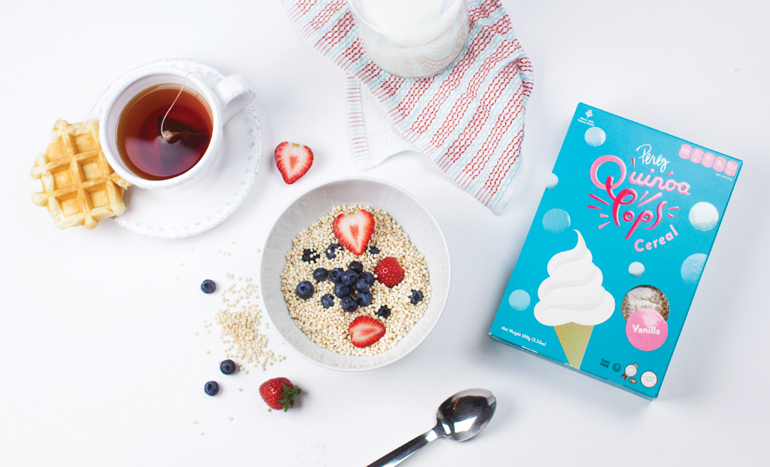 It also allows consumers to know what to expect from the Pops flavor-wise.